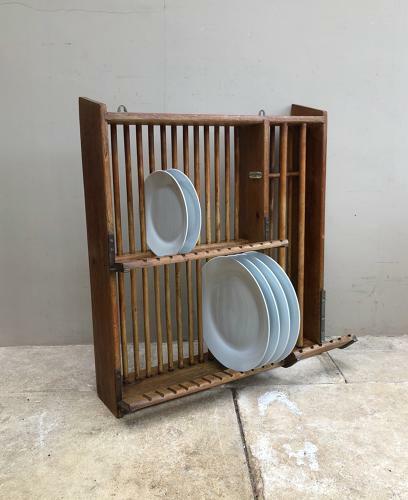 Original 1940s Solid Oak Wall Hung Plate Rack. Has its original plaque "Staines Kitchen Equipment. 94 Victorian St. London. SW1"
Holds modern size large dinner plates (many antique racks dont). Handy Shelf Top too.